Where Did the Light Come from On Day One? 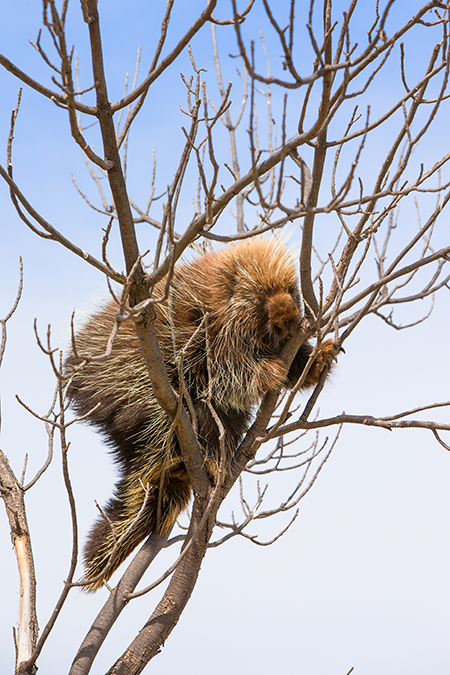 Porcupines are in the rodent family, along with rats, mice, and beavers. They are the third largest rodents in the world. There are more than 20 different species of porcupines. They are found on every continent except Antarctica. 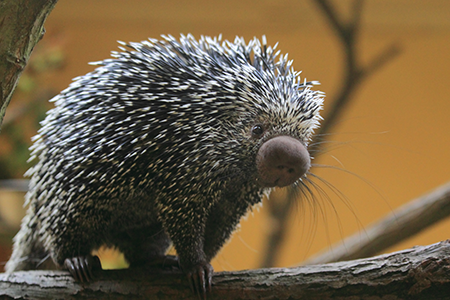 Some porcupines, such as the African crested porcupine, can grow to be about three feet long and weigh 60 pounds. 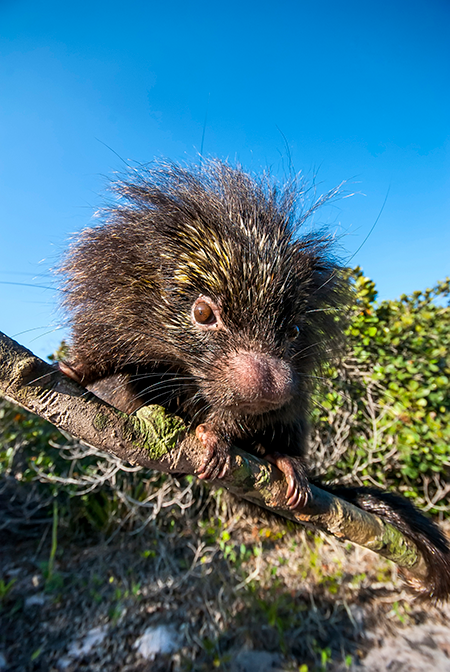 Others, such as the Bahia hairy dwarf porcupine, can be as small as 18 inches and weigh only 2.5 pounds. Several porcupines, such as the Brazilian porcupine, have long prehensile tails that they use in the same way monkeys use their tails—to wrap around tree-limbs and swing upside down. The larger porcupines have tails that are 8-10 inches long. 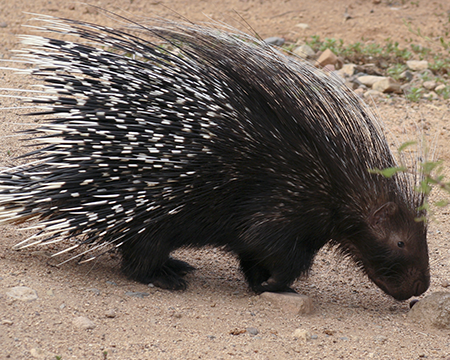 The most notable feature that all porcupines share is that they all have quills. Porcupines are herbivores (eating plants and vegetables). What you might not know is that they also eat wood and tree bark. I doubt you have ever looked at a small tree trunk and thought, “Wow, that would make a great snack!” Why is that? Humans cannot get nutrients out of wood because it is primarily composed of a substance called cellulose. In fact, most animals can’t use wood or bark as food. God designed porcupines, however, with an unusual digestive system. In their guts (or intestines) they house special bacteria that break down cellulose and turn it into usable food. This perfectly designed system could not have evolved over millions of years. Instead, God equipped porcupines with this ability. Porcupines are nocturnal, foraging for food at night. They love to climb trees, and some spend most of their time there. Most porcupines are solitary animals and do not live close to other porcupines. They interact with each other mainly in the spring during mating season. When baby porcupines are born, their spikes are soft, but they harden in a few days. You probably know that groups of animals have special names. When fish are together, they are called a school of fish; lions in a group are called a pride. What do you think a mother porcupine and her babies are called when they are traveling together in a group? A prickle! 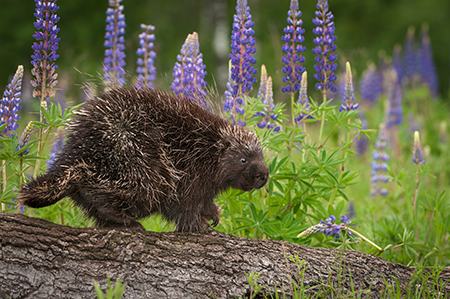 With so much protection, it is no wonder that porcupines can live to be some of the oldest rodents in the world. In the wild, they can live 10-15 years, and in captivity some aged prickly pigs have reached the ripe old ages of 27-30 years old.